Doctor Zahra Rajab’s passion is to provide highest quality of service to her patients. She has graduated from the Faculty of Medicine at Damascus University in Syria and has15 years of experience in Primary Health Services, General Practice and Emergency Medicine. Her medical practice between Syria, France and UAE brings a wealth of experience to her role at Emirates Hospital Motor City. She has received multiple postgraduate diplomas, in Emergency Medicine, Infectious Diseases, Autoimmune Diseases and Preventive Medicine, from India and France. 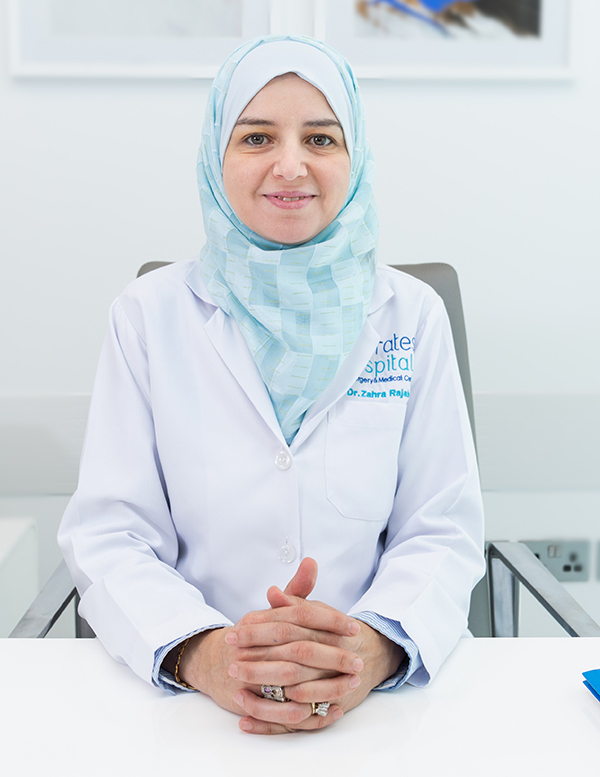 Visit our family at EHDSMC and get to know more about Dr.Zahra and how she can cater to your health needs.